Approximate Room Size: 600 sq. 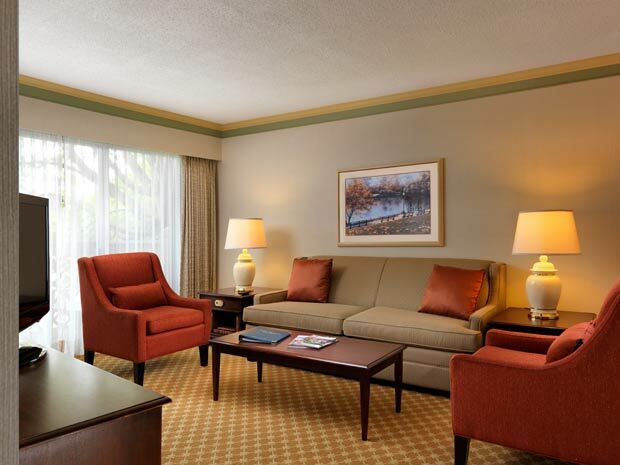 ft.
Make yourself at home in these downtown Victoria hotel suites. 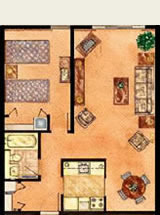 They offer a separate bedroom, full kitchen and a combination living / dining room with all the comforts of home. 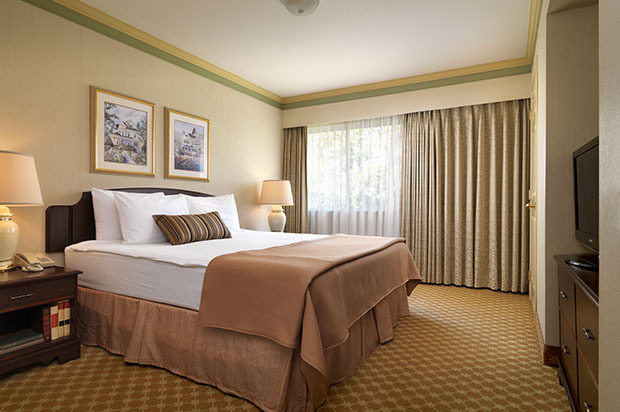 The one bedroom hotel suites are available with either a king, queen or twin beds and a queen size sofa bed. 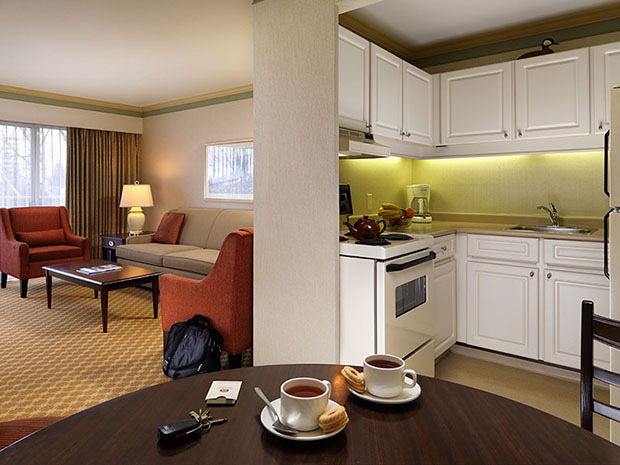 To see all Hotel Photos please visit our Photo Gallery page.